Lots of beer, brats and oompah music will await those celebrating their German heritage at a Minnesota Oktoberfest this fall. In September and October 2019, these German beer festivals will be a popular destination for the nearly 2 million people in Minnesota who claim ancestry from Germany. With festivals spanning the state from New Ulm to Duluth, and several Minneapolis Oktoberfest options as well, we hope you are able to find one that you are able to attend. 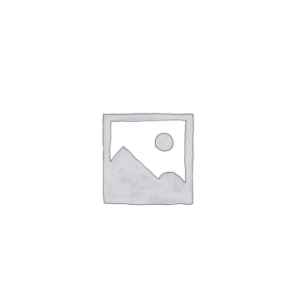 Organized by the Pierz Lions Club, it is generally held on the last Sunday in August unless it falls directly before Labor Day. 2016 will be the 32nd Anniversary of the festival. Last year’s description: Start the day with the fun run at Pierz Healy High School for a 2 mile or 5K run for the whole family. Parade generally starts around 11 AM. Following the parade, they hold a festival in the park which includes petting zoo, exotic animals, inflatables, bingo and children’s game. Purchase and wear their button to win one of the prizes in their giveaways. There are also brats & kraut, kettle corn, homemade pie and beer garden. Champions Forever, a traveling entertainment organization that performs at schools, colleges and halftime shows will also be there in 2014. Free shuttle bus transportion to the park from various parking lots – no unauthorized vehicles are allowed on Park Ave near the park. Related events take place for the week prior to the event. On Saturday night, for example, there will be a concert and fireworks. And don’t miss their famous Medallion Hunt, with a $500 award to the winner. The annual Saint Paul Oktoberfest will have German and American beer, live music, polish dancers, dachshund races, bed races, Paulaner Girls and children’s games. This German restaurant will throw up a huge festival tent with German food, beer and live music. Friday and Saturday admission is $5.00 from 5:00 pm to 11:00 pm. Sundays are family days with all ages welcome from noon-6 PM. Activities include free face painting, balloon twister, music, dancing. Be sure to taste the giant pretzels, cinnamon roasted almonds, Hammerschlagen, brats and chops, and of course lots of imported beers. 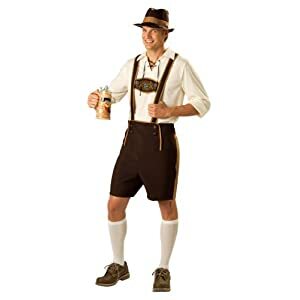 Downtown Longville will have a German beer garden with music, arts and crafts on Saturday from 11 AM to 2 PM. The Longville Fire Hall will follow from 5-11 PM with its Oktoberfest Dinner Dance. Enjoy Friday nights karaoke entertainment and dinner specials at the Anchorage Inn. Live music as the Golden Keg is tapped on 9/20 and festivities begin! Free Oktoberfest appetizers, a pint from the Golden Keg, and live polka music, and a closing party on 10/18 with specials, drawings, and a surprise giveaway. In between, enjoy an exclusive traditional Oktoberfest menu and a variety of Oktoberfest beers – and get a FREE giant pretzel for group reservations of 12+ during Oktoberfest! The streets will be closed down and the tents will go up! Oktoberfest beers, food, and music. Grab your dirndls and lederhosen and head to Voyageur Brewing Company for a weekend of German music, food, games, and beer including barrels of a new Oktoberfest brew. Free admission. the biggest celebration of beer in the Valley! Weiner dog races, free beer tastings, stein holding competitions, a pretzel toss, German food and a HUGE selection of Oktoberfest beers are all on tap for the outdoor Oktoberfest celebration at The Blue Moose Bar and Grill! Bring the family as this event is family friendly with lots of games for the kids too! Visit Downtown Grand Forks on Saturday for the second annual Downtown Oktoberfest Pub Crawl! 2-10 PM. Up to 13 participating locations. 8 AM to 2 PM. Celebrate Minnesota brewing past and present as Mill City Museum and the Mill City Farmers Market team up for the 12th annual Mill City Oktoberfest. Enjoy the tastes, smells, sights, and sounds of Germany with activities inside the museum, outside in the Ruin Courtyard and at the Farmers Market area in the Train Shed and Chicago Mall next to the Guthrie Theater. Watch a cooking demonstration, enjoy music and dancing, and relax with a Minnesota brew and German fare in the Ruin Courtyard beer garden. View photographs of Minneapolis’ historic riverfront breweries. Other activities include kids’ games, History Player performances, and brewing history. Mill City Museum admission is required for certain activities inside the museum. This Minneapolis-St. Paul Oktoberfest provides two days of live music, dancers, brats and Summit Oktoberfest beer. This annual Minnesota Oktoberfest will take place at four locations in New Ulm on the first two weekends in October (Friday and Saturday). The four locations are the Best Western Plus, Downtown New Ulm, Morgan Creek Vineyards and Schell’s Brewery. This has been ranked one of the top 25 events in Minnesota for many years. The Best Western Plus has two indoor band stage areas with German-style polka and bands playing party favorites for dancing. Downtown activities include horse-drawn trolley rides, hometown bands and tours of various buildings including the John Lind House, Hermann Monument, Schell’s Brewery and the Minnesota Music Hall of Fame. Don’t miss the 45 foot Musical Glockenspiel which is setup in the downtown area. Morgan Creek Vineyards generally has a Grape Stomp on the first Saturday of the festival. Four days of Oktoberfest fun starting on Thursday and ending on Sunday. This will be the 19th annual event. Be sure not to miss the lead up events, including the search for the Oktoberfest medallions and hunt for Mr & Ms Oktoberfest If you can solve the clues, you win a prize of $50 in Pelican Bucks. 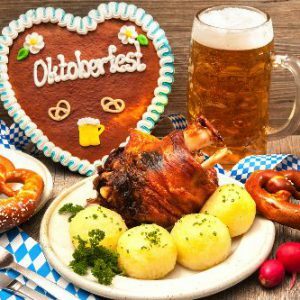 In the past, Thursday events have included the crowning of Mr. & Ms. Oktoberfest, open house at the fire department with light supper served, bingo at the VFW, and a wine & beer tasting with live music. Friday has held the largest pumpkin contest, chainsaw sculpting, more bingo and a salute to the troops with live music at the VFW. Saturday included the Lions pancake breakfast, 5K and 10K run, farmer’s market and food court at the Pelican Rapids Fire Hall, pinochle tournament, live auction and more. Kids events included hay rides, pumpkin decorating and games at the PR Fire Hall. Or participate in the VolksMarch Walk for 11K. On Sunday, enjoy the “best of the wurst” sausage & beer sampling as well as the old-fashioned polka party. Proceeds go toward community beautification projects. Pelican Rapids is located in western Otter Tail County. Between 11 am and 5 pm, enjoy German food, dancing, music and plenty of Schell’s Oktoberfest beer inside the beer tent. Lots of fun activities for kids. Tickets are $10, kids free – tickets sold at the gate, and a portion of proceeds will be donated. Schell’s is America’s second oldest family owned brewery, started in 1860 by August Schell. It survived Prohibition and has been passed down through six generations of the family. They make German craft beer. In 2013, their Oktoberfest beer took home a bronze medal in the American-Style Lager category at the Great American Beer Festival in Denver. Since most Germans don’t celebrate Oktoberfest for just one day, they even remind you to check out New Ulm’s Oktoberfest downtown! The Oktoberfest will have dinner shows, arts & crafts fair, kids activities and polka dancing. The tentative schedule has a harvest buffet dinner show with live music by the Concord Singers and Alpensterne. Saturday and Sunday both start off with a breakfast buffet. On Saturday, over 150 vendors will take part in the Arts & Crafts Fair. Live music and entertainment will happen in two tents and there will be children’s activities in the Kids’ Kamp building. Eat dinner at the buffet featuring German music and end the evening with a free admission polka dance. Held at Ruttger’s Bay Lake Lodge, which has been inviting guests to the lake and their resort for five generations of the Ruttger family since it opened in 1898. If you want to see what is happening in surrounding states, take a look at Iowa, North Dakota, South Dakota and Wisconsin. Live music, cash bar and German food hosted by the Frazee Area Community Club with proceeds used for community events. 2016 will be the 20th annual event. $12 per person. It happens annually on the first Sunday in October and is held at the Frazee Event Center. They hold a two hour Fall Sightseeing cruise up the Mississippi River into Minneapolis and back while enjoying sights of fall foliage and enjoying a full bar and snack bar, available for $20 for adults, $18 for seniors, and $10 for children. They offer a number of other lunch and dinner cruises, including a rib dinner, beer and bacon appetizers, margaritas and tacos, and more! In the past, they had a four hour cruise with authentic German lunch, Polka and Hammerschlagen. Lunch included various sausages, spinach apple salad, roasted potato wedges, pretzel bites, German chocolate cake and more. The cost was $51.20 per person. Please note, the address on this page was provided by the company to bring visitors to just outside their parking lot, as it is the closest address available. Please confirm directions before embarking on your adventure! I would like the schedule for Oktoberfest in MN for 2013. Is there any fun October Fests near Faribault and/or New Prague areas that would have a Polka band and beer during the 1st two weeks in October?